Juan Martin del Potro is one player who is good at keeping his emotions in check. Not often do we see an expressive version of the Argentine tennis player on court. Sunday was an exception though. 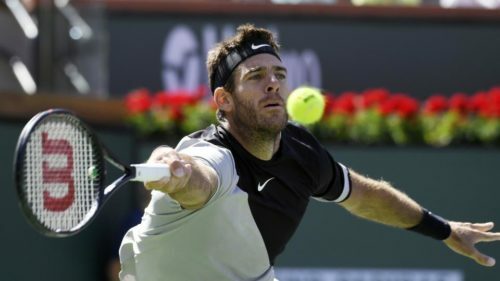 Following his stunning win over Swiss legend Roger Federer in the Indian Wells final, del Potro appeared overjoyed once he entered the locker room. In a video that went viral on social media (see below), the 29-year-old can be seen jumping in joy along with his team as they held bottles of champagne in their hands. Later, del Potro took to Jacuzzi to continue their celebrations. The 6’6” powerhouse sprung a surprise by prevailing 6-4 6-7 7-6 over Federer, who was yet to taste a defeat this season. He will look to continue the rich vein of form when he participates at the Miami Open – another ATP Masters event – that began on Monday. Del Potro, seeded fifth, is scheduled to lock horns with either Yuichi Sugita or Robin Haase first up.